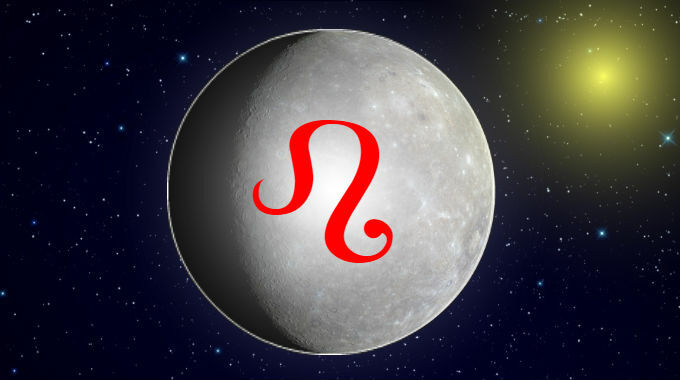 Mercury in Leo is in a fixed fire sign and takes on the qualities of its ruler, the Sun: expressive, dramatic and showy. People with this placement can adopt a confident, authoritative tone, with speech that is at once regal, entertaining and otherwise attention-grabbing. They’re more likely to trust their own experiences and ideas over someone else’s. On the downside, confidence in and personal identification with one’s ideas and speech poses the risk of falling much harder when you’re wrong about something. A dose of humility and balance is far better than a dose of embarrassment. Their technical skills are likely associated with lights, electricity, optics, photography, film, editing, etc. Their intellectual interests may center around rulers, leaders, stars, celebrities, movies, theater, music, entertainment. They’re probably tickled most by their own jokes and exaggerated humble brags. This is especially true if you were born with Gemini, Leo or Virgo rising. Whether you experience the better or worse significations of this position depends on Mercury’s relationship with the Sun and whether you were born during the day or at night, and the kind of aspects it makes with the other planets.